Does your little person ever come home from school a complete wreck? They’re a total crank machine, tantruming, whining, and complaining that they are soooooo starving but will only settle for something sweet? Kids are sensitive little people, easily swayed by colorful packaging, rainbow marshmallows, and neon sprinkles. So when it comes to nutritional intake, kids need our guidance to help keep those sensitive blood sugars balanced in order to maintain stable behaviors, focus, and energy levels. Macronutrient balance is your biggest tool as a parent and meal provider. Ensuring that every meal (and snack) includes some carbohydrates, some protein, and some fats, creates an effect of slow release energy, lasting fuel, and better focus, concentration, and levelled mood. Sounds good, am I right? This is actually a much easier thing to do than it sounds, trust me. Simply stirring in 1 Tbsp coconut oil and sprinkling 1 Tbsp of chia seeds or hemp hearts on morning granola or oatmeal will do the trick. I realize this is much easier to say than do, but I have to say it (and say it with gusto): filling up our kids with nutritionally deficient food does not serve them or us at all, not one little bit. In fact, it is a monster of a disservice. Packaged foods: cookies, cereals, granola bars, cheese sticks, cheesy bunnies, gold fish crackers, etc, etc, are potently laced with sugar, chemicals, and rancid oils that they are one of the most massive contributors to childhood obesity, the development of degenerative diseases, and the major rise of ADHD, among a plethora of other negative health effects. Not only do they have an astonishing detriment to the health of our kids, but putting this stuff in their lunchbox tells our kids that eating this way is ok.
Take a deep breath here. I know this feels both frustrating and limiting when it comes to the effort of packing a tantalizing lunch box with a smile on your face. To be honest, this is not something we are limited by at my son’s school, but so many of my friends and clients are that I’ve done some digging and have come up with some tools and pretty awesome links for you. 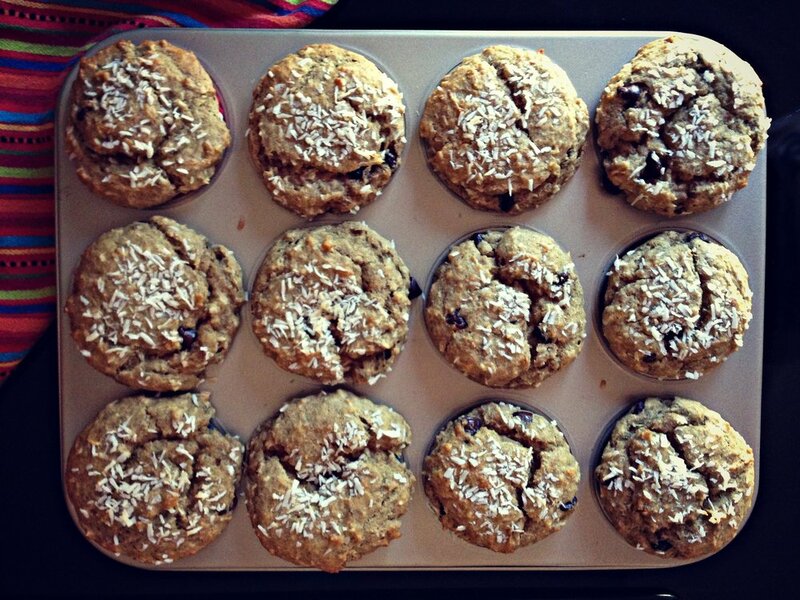 Tools: seed butters, seeds, beans and bean spreads, no-nut energy balls/balls/cookies. A lunch schedule, really, you say? Listen, kids respond really well to schedules: they like to know what’s coming their way, what they can expect, and they are better behaved when adhering to a schedule or system. Monday: Hot Lunch Day. Most Sundays are batch cooking days for me, I make a batch of energy bars/granola bars for lunches and bang off at least one batch of soup/stew/curry for a few meals throughout the week. I highly and enthusiastically recommend implementing “batch-cooking-Sundays” to your busy schedule, as it saves sacred time and energy throughout the week. Monday is hot lunch day, as you may have something freshly made to put in your kids’ thermos that day: soups, stews, curry, spaghetti & meatballs, whatever you fancy. Wednesday: Sandwich Day. Kids love sandwiches and Wednesdays can be one of the toughest days in the week: it’s neither at the beginning nor close to the end of the week. So here is your “go-to” day where you can give yourself permission to breakout the good ol’ pb & J, ham & cheese, or put on your fancy pants and branch out into adventurous sandwich-land, combining something like leftover chicken, pesto and roasted red peppers. My only Nutritional strong-arm here is to choose really good bread: ditch the wheat and go for old world grains (spelt, rye, kamut), ideally, locally made, with minimal ingredients. Note: If you use sandwich meats, choose organic, nitrate-free, or try using real chicken or wild salmon. Better yet, maybe you’re ready to experiment with meat-free sandwiches? Thursday: Snack Plate Day. This has always been a favorite in our house because it’s both fun and incredibly simple. A “snack plate” can be whatever you have at hand and whatever you know your kid will eat. We like to fill my son’s sandwich container with a mix of raw veggies, hummus, crackers, smoked salmon nuggets or good quality salami, sometimes olives or pickles, dolmades or leftover chicken. Friday: Wrap Day. 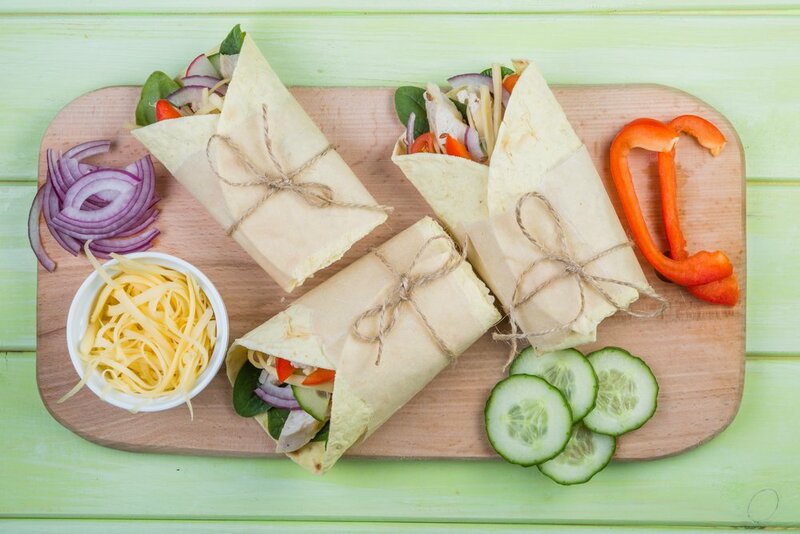 A wrap is a great way to get a pile of fresh veggies into your kid. Whether you are going for a Mediterranean style with hummus and olives, or a simple turkey & pickle, it’s easy to chop up some lettuce, shred some carrots, or julienne some red peppers and slip them in there. Note: choose your wraps wisely: go for spelt and read the label to make sure there aren’t any weird additives in there. This is my schedule suggestion. Obviously, yours can be different. However, I strongly recommend giving the idea of a lunch schedule a try. You may find that the effort really pays off, that your kids respond well to the lunch schedule, and that those little picky monkeys are actually eating all their lunch! Looking for more specific lunch recommendations? Drop me a note and let me know what you’re looking for! Also, once you’re rocking it, let me know how it’s going! I’d love to hear from you!